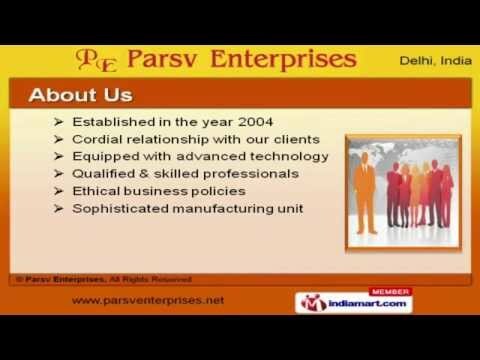 Welcome to Parsv Enterprises, Manufacturer and Exporter of Industrial Hoses. The company was established in the year 2004. We are Equipped with advanced technology and Sophisticated manufacturing unit. We are well known in the market for our Peerless quality products, Expedite delivery schedules and variegated payment options. We bring forth a wide range of Fire Fighting Equipments, Firefighting and Rubber Air Hoses. Hydrant Valves, Hose Wheels and Grouting Hoses are well known for their durability. We have gained tremendous expertise in providing Suction, Radiator and Industrial Vacuum Hoses. Our Air Ducting, Brewery Food and Hot Water Hoses are extremely reliable. We are engaged in offering supreme quality Oil Resistant, Rail Tanker and Stainless Steel Hoses. Our organization is instrumental in offering a wide gamut of Industrial Hose Fittings, Braided and Flexible Hoses that are cost effective.